Research suggests that the antiviral compounds in black elderberry may help fend off the H1N1 virus. For cold and flu prevention, take a teaspoon of this syrup twice a day. If you're already sick, take a teaspoon every few hours until you feel better. You'll need dried black elderberries -- find them at your health food store or order them from frontiercoop.com. 1. In a saucepan, cover 2 ounces of dried black elderberries with 1 quart water. Boil. Turn heat to low; simmer until reduced to a pint. Strain. 2. Return liquid to the pan. Using a wooden spoon, slowly stir in 1 1/2 cups of honey into the mixture until honey is thoroughly dissolved. 3. Let the syrup cool to room temperature. 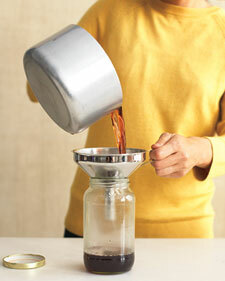 Pour into a clean jar with a tight-fitting lid. Label and date. It will keep up to a year in the fridge.